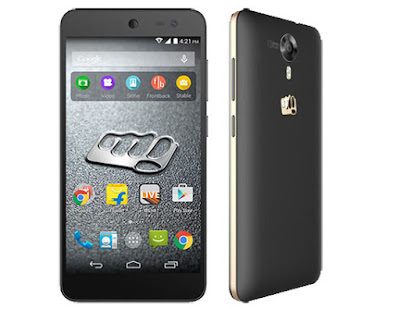 Now in the market many Brands trying to dominate by cutting their prices in Smartphone having outrageous features in this race Micromax launched Canvas Express 2 loaded with features like Mediatek MT6592M Octa-core processor, 5.0 inches HD display, Dual SIM support, 13 MP camera, 8 GB ROM with 1 GB RAM, 32 GB Expendable memory and 2500 mAh battery. Here we will have Short review, Pros and Cons of Micromax Canvas Xpress 2. The Design is nicely sliced with quite thinner design looks good in hand; champagne golden rim around the phone is superb appears metallic, back has matte finish. The volume rocker and power key are on the right edge and Micro USB port is on the bottom along with the speakers and Headphone jack on top. 5.0 inches capacitive Touchscreen is sharp and tempting. It has pleasant viewing angle and sunlight legibility of the screen is quite clear. The display is protected with Corning Gorilla Glass 3. 13 MP camera is struggling to wash the blackness of pictures taken in low light which looks grainy. But some pictures in sufficient lightening looks beautiful. The 2 MP camera is quite good at least can capture satisfactory images. We are happy with performance of this low budget handset having Mediatek MT6592M 1.4 GHz Octa-core processor. The processor gives Smartphone a good gaming device for most of the Games. The phone is not able to play the heavy games in high graphics. 2500 mAh battery is just below the average. Maximum it can be extended up to 24 hour for a moderate user. 13 MP AF BSI Rear Camera with OV sensor. Default Video calling and 3G supported in both SIMs. Front and rear camera can be used in same time. Absence of automatic display brightness. Applications cannot move to SD card. Earphones Quality is not good for music lovers. When it comes to low budget Smartphone most people go for the Desi brands such as Karbonn, Micromax, Intex etc. But if these brands also providing some good features this will be deal breaking. Cavas Express 2 is example of this deal break. 13 MP Camera, Gorilla Glass 3 protection, 25k mAh battery and a beautiful Look.